The South Fork 5th wheel is an amazing new product from Cruiser RV, available exclusively at Fun Town RV. 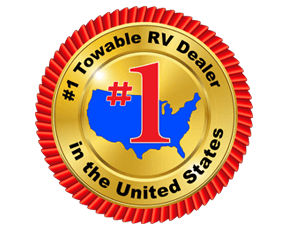 The #1 selling Towable RV Dealer in the Country. Check out the awesome South Fork fifth wheels floorplans that include the Austin, Lawton, Cameron, and Santa Fe here at Fun Town RV. The South Fork comes in awesome floor plan styles, including a front bedroom, kitchen island, rear entertainment, and rear living area. No matter what type of RVer you might be, the South Fork has amenities and functions that everyone will enjoy. If you are interested in learning more about the outstanding RVs that we carry here at Fun Town RV in Texas, you can always contact us to get more information. Or, click here to view all our South Fork fifth wheels. Also get driving directions to our dealership and come on by to take a tour. We offer RV financing and will provide you with an honest consultation to help get you into the ideal RV. Use our RV search to search through our entire inventory and to learn more.